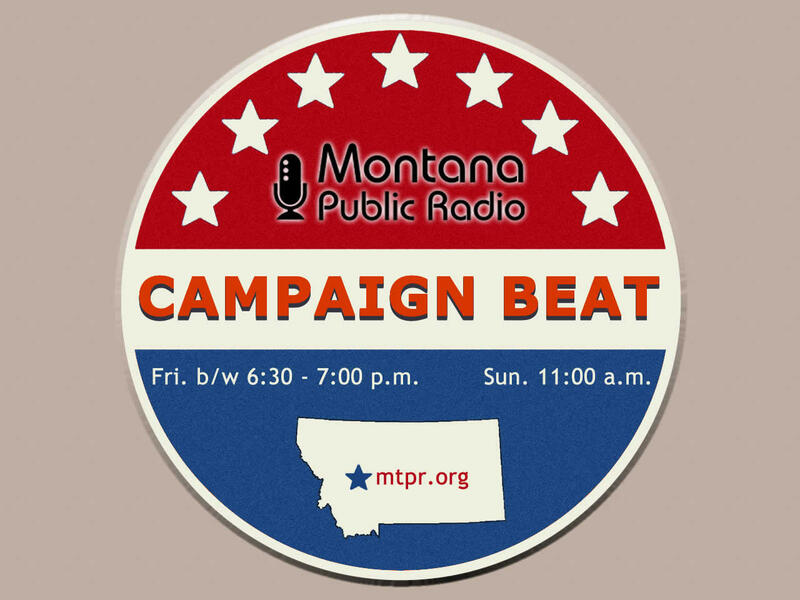 Nicky Ouellet: Welcome to "Campaign Beat," our weekly political analysis program. 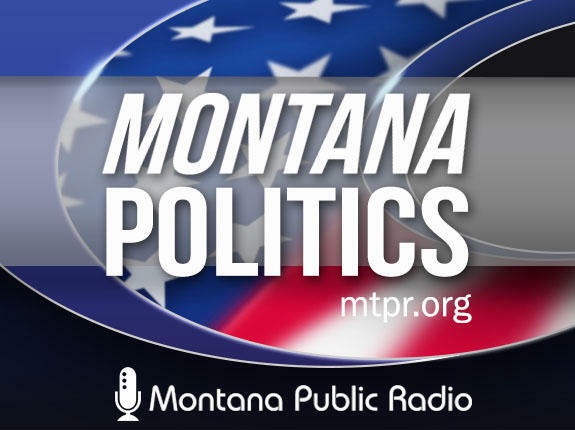 I'm Nicky Ouellet filling in for Sally Mauk, and I'm joined today by veteran Capitol Reporter Chuck Johnson and University of Montana Political Science Professor Rob Saldin. Chuck, word on the street is that President Donald Trump might be making a visit to Big Sky country sometime after Memorial Day. What can we expect from a presidential visit in the middle of campaign season, and does the timing of his visit matter? Chuck Johnson: Well Nicky, the timing definitely matters. If President Trump comes here before the primary election he'll be able to attack Senator Jon Tester, but he won't be able to endorse a specific Republican Senate candidate nominee. But if he comes after the June 5 primary, of course he'll be able to endorse a specific Republican. And I think that would have more impact than just a generic Republican. But he's going to come when he is going to come. Politico reported today that he's going to stop in states like Montana after Memorial Day — probably. And that came from his legislative aide and that's not a surprise, I think. I think that after Jon Tester helped sink Ronny Jackson, the president's proposed V.A. nominee — when he released a bunch of critical information about him from people that knew Jackson — Trump put him (Tester) on the target list. As if he wasn't before. So Trump will be out here, it's just a question of when and I think the timing is important. NO: Rob, Senator Steve Daines is one of a group of lawmakers who this week proposed to work through the August recess. He says it's low-hanging fruit to get some spending bills passed. But some analysts say that working through the break could hamper Democratic incumbents who are seeking re-election, like Senator Jon Tester. Has Congress blown off vacations before, and how could this potentially impact Congressman Greg Gianforte and Sen. Tester's campaigns? Rob Saldin: Yeah, well it's certainly not unprecedented for Congress to decide to cancel or reduce recesses, but the August recess is definitely a well entrenched institution. You know, originally it began for the simple reason that Washington was built literally on a swamp and that meant that August was just a particularly miserable time to be there. And I think anyone who's spent time in Washington in August can appreciate that it's very hot, it's very humid, and back in the day it was also dangerous in that it was a very good time to pick up any one of a number of terrible diseases. So for all those reasons people just wanted to clear out. Now, of course, we can mitigate all that stuff. Air conditioning was a big game changer. But the August recess endures and most members of Congress absolutely see it as a time to get home and that doesn't mean it's a vacation, but rather it's a time for them to get out and be seen and to reconnect with their constituents. And that's particularly true for those members of Congress who are up for re-election. And of course that's a piece of this that has some Democrats smelling a rat. Keeping Congress in session would put incumbents who are up for re-election at a real disadvantage because they'd be stuck in Washington, while their opponents have the whole month to campaign around the state and in the Senate. There are a lot of vulnerable Democrats, including Jon Tester. Republicans only have to defend nine seats this fall, while Democrats have to defend 26. And of those 26 Democratic seats that are up, 10 are in states that Donald Trump won two years ago. So bottom line, there is nothing crazy here about Congress thinking about staying in session. And there certainly are plenty of issues that they could take up. But it's also not surprising that Republicans are the ones pushing for this because it would quite clearly give them an advantage in defeating some of the vulnerable Democrats in November. NO: And we should add that Tester did say that he wouldn't be opposed to working through the August recess. Chuck, Democratic U.S. House candidate Kathleen Williams has a new ad out this week focusing on an issue that she's made a hallmark of her campaign. William ad: "It's cancer. It's gonna come back. That's what my doctor told me 2009. There was a clinical trial that could help, but my insurance company wouldn't let me do it. Kathleen Williams was my state legislator. She listened to me and she said I'll dig into it. She brought together doctors, insurers, patients, and wrote a law that required insurance companies to cover these lifesaving treatments. No grandstanding, just results. Kathleen Williams gets things done. I wouldn't be here today without her." "I'm Kathleen Williams and I approve this message." NO: And Chuck, this ad also highlights Williams' legislative experience. CJ: That's correct, Nicky. She's the only candidate with legislative experience in the Democratic primary, and she's making the most of it in her ads. She's also highlighted the compassionate side of her, helping a constituent. An earlier ad talked about how her mother came down with Alzheimer's when she was I think nine or 10, and she and her father took care of her mother. So this has been a theme that Kathleen Williams has had, the compassion angle and also health care. And I think they're pretty effective ads. NO: Rob, Republican U.S. Senate candidate Russ Fagg is coming under fire from a group called the Club for Growth Action, which supports Fagg's primary opponent Matt Rosendale. They sent out some mailers hammering Fagg for being soft on crime as they say, and they have a new ad out this week. Club For Growth ad: "When Russ Fagg claims he protected Montana families, he's not telling the whole truth. After Matthew Green assaulted a child, choked his wife and came at her with a knife, he faced 50 years in prison. Fagg put him away for just five years. The mom testified, 'My children watched him beat me up for 45 minutes.' Still, Fagg cut 45 years off the maximum sentence. Russ Fagg, he's tough — on victims. Club for Growth Action is responsible for the content of this advertising." 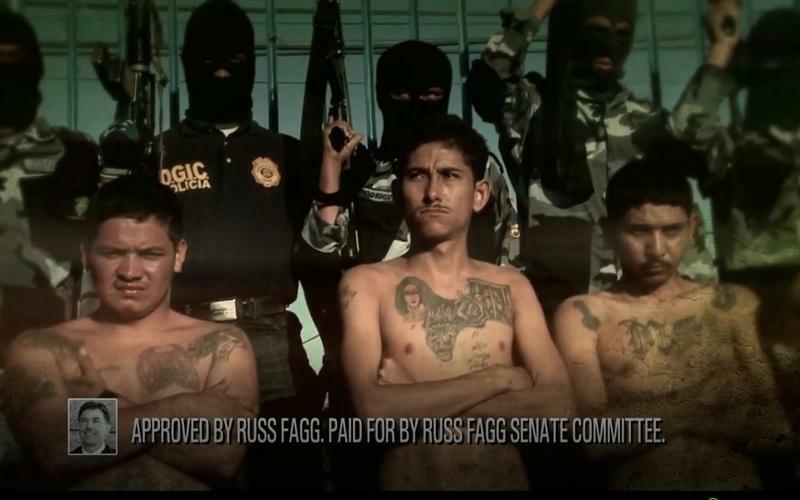 NO: And Rob, this ad is a striking contrast to Fagg's own ads that we talked about last week that paint him as tough on crime and had some strong rhetoric against illegal immigration. RS: Right, yeah sure is. The premise here obviously for the anti-Fagg ad from Club for Growth is that Fagg is weak on criminals and that as a judge he routinely handed out light sentences. They feature that one, but on the mailer there's a whole list of these kinds of things. So the Club for Growth is a PAC, political action committee, that has, as you say, endorsed Matt Rosendale. And these attacks on Fagg, I think, are clearly a direct response to Fagg's attacks on Rosendale. Over the last few weeks Fagg has really been going after Rosendale's opposition to the death penalty and contrasting that with Fagg's enthusiasm for it. So this is, I think, quite clearly a way to hit back at Fagg, and push back directly on these charges that Fagg is somehow tough on crime while Rosendale is weak. So they're going after him directly on that and on his record as a judge. NO: Chuck, Fagg's opponent Matt Rosendale also has a new ad out this week. This one is called, "Stepped In It." Rosendale ad: "When President Trump passed his tax cut, Nancy Pelosi called it, 'crumbs, so pathetic.' Senator Tester really stepped in it and called Trump's tax cut, well you can't even say that on TV. I'm Matt Rosendale and I'm running for the Senate to replace Jon Tester. Montana needs a conservative who's willing to back the Trump agenda, not kowtow to Nancy Pelosi. The Trump tax cuts mean business. That's why I approve this message." NO: And obviously, you can't see this ad on the radio, but Rosendale is kind of set up in front of a barn. He's wearing some work clothes and he actually kicks a TV that's showing an image of Tester into a pile of manure. CJ: That's right. And it's a pretty effective ad. Rosendale is running as the front-runner. He doesn't attack his opponents in the Republican primary in his ads, he attacks Jon Tester. Now this may be a good strategy. I think he's probably the front runner but we don't know. Nancy Pelosi has become kind of the poster child for Republican candidates to go after. She's the former Democratic Speaker of the House from California and now she's the House minority leader. But if Rosendale is elected, of course, he wouldn't have anything to do with her. It's a separate house, but she becomes a punching bag for Republicans in many many races around the country. The TV is always an interesting symbol in an ad. We've seen candidates in the past shoot TVs with guns. This one,f he kicks with his boot and knocks it into the pile of manure. But it's directly, of course, going after Tester, and that's how his ads have been and it's pretty effective for what it is. He doesn't deign to talk about his primary opponents. He's focused on the general election, which is probably a good strategy for the frontrunner. NO: Rob, absentee ballots were sent out last Friday and this sort of signals the bell lap for the primary campaigns. 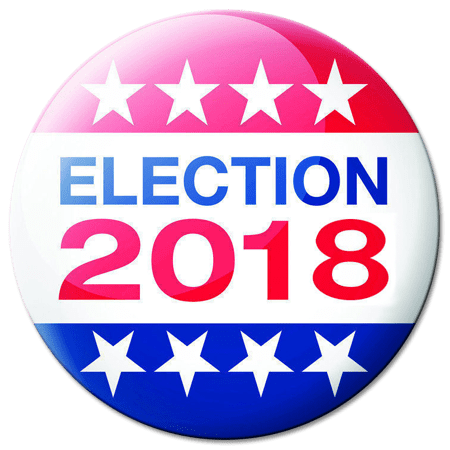 What can we expect to see in the last couple of weeks leading up to the June 5 primary election? RS: Well, I think for the Democrats running on the House side and for the Republicans on the Senate side we're going to see them go all out. I think nobody is in a position where they can feel like they're assured of getting the nomination. The incumbents of course are in a very different position — Greg Gianforte, Jon Tester. You know, they don't have to be out spending a whole bunch of money right now. Whoever emerges as their challenger is going to have to do that just to get the nomination. You know, one thing that means is we will be seeing a lot of ads from Democrats in the House, Republicans in the Senate. And one implication of having to go all out here in these last few weeks of the primary is that whoever does emerge on the Democratic side for the House and on the Republican side for the Senate is probably not going to have a whole lot of cash on hand. And so, that's going to be a real contrast with Gianforte and Tester. 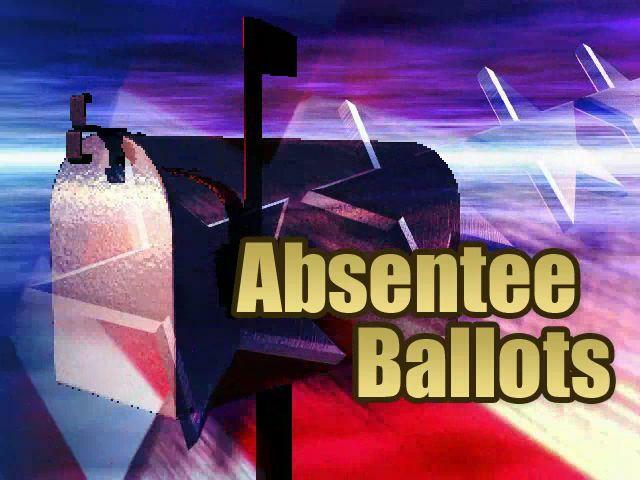 CJ: The fact that about two thirds of Montana voters now vote by mail with absentee ballots forces campaigns really to run two campaigns. One, where the advertising and mailing peaks, about the time people get their absentee ballots — and of course we're seeing the ads now and the mailers — but they also have to hit it again late before the June 5 primaries for the voters that still go to the polls. So it gets tricky for them and it ends up costing more than if we had all absentee ballots or we didn't have any absentee ballots. So they have to marshal their resources carefully and make sure they're hitting both groups of voters. But, like I said, most voters now are voting in the absentee election with the ballots that went out last Friday. NO: And we'll be talking about that next week on "Campaign Beat," your weekly political analysis program. Nicky Ouellet filling in for Sally Mauk. I have been speaking with University of Montana Political Science Professor Rob Saldin and veteran Capitol Reporter Chuck Johnson. Chuck and Rob will be back next week with Eric Whitney filling in for Sally. Thanks as always Chuck and Rob and have a great weekend.